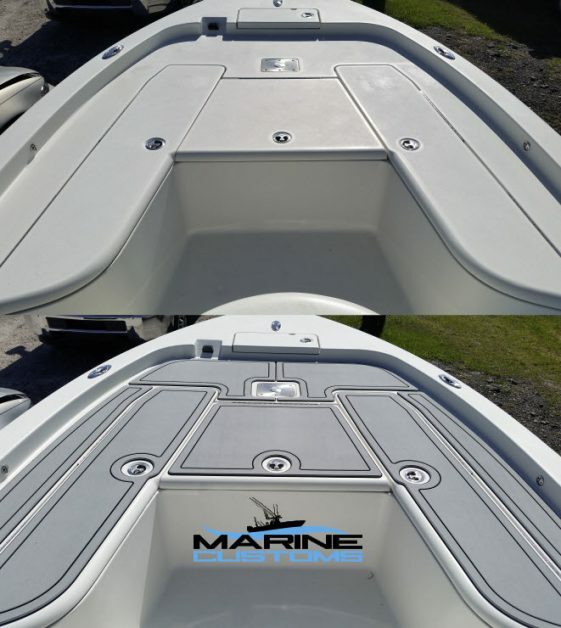 Here we have a 2003 Proline 240cc fully decked out with our Dark Gray over Black brushed marine decking. 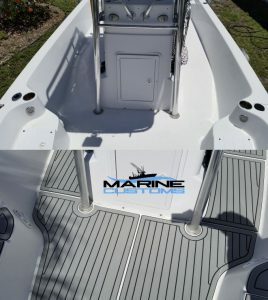 The floors were finished in Faux Teak while the casting platforms were finished with some pinstripe borders. 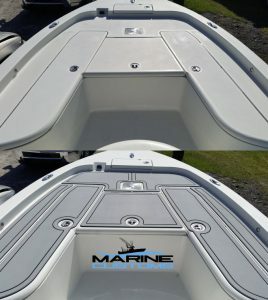 We then added some custom laser engraving to a few areas which included the boat name, two fish rulers as well as some marine art.